Ship out week of APRIL 29th or SAT. MAY 4th farm pickup. **Out of state shipments please call (512) 784 3279 for availability. YOUR PURCHASE ACKNOWLEDGES THAT YOU HAVE READ AND AGREE TO OUR NUC SHIPPING POLICY. 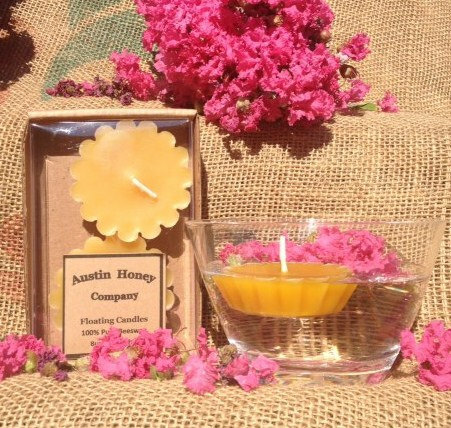 Visit Our Online Store ETSY Austin Honey Company to order online!!! *Honey Bears (8 oz, 12oz). *Honey Jars (1lb, 2lbs, 4lbs). *Creamed Honey (8 oz, 12 oz). *Pure Beeswax Candles (various sizes). *Lip Balm (available in Eucalyptus, Coconut, Vanilla). 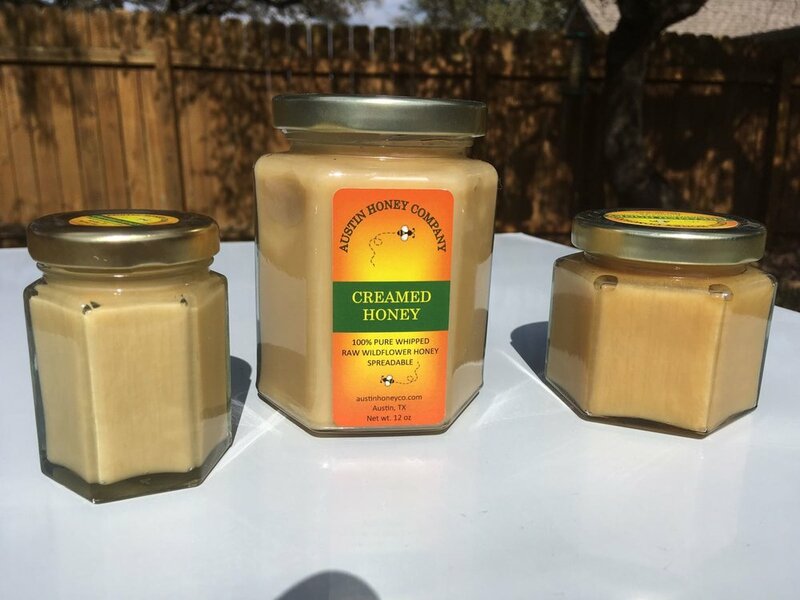 Austin Honey Company's happy bees comfortably reside on local farms within a 30 mile radius of downtown Austin providing valuable pollination of local organic produce, thus benefiting the whole of our food community. The symbiotic relationship between food and pollinator cannot be overemphasized and is a foundational element of our reason for managing honeybees. Due to a consistent decline in wild pollinators, we aim to help grow our local food system by teaming up with local organic farms producers, while educating and encouraging the community to manage their landscapes, homes, and businesses in a "bee friendly" manner. With the bees' long term health in mind, as well as the community's, the beehives are naturally managed without the use of harsh chemicals. We invite you to try our raw, unheated and unfiltered honey---Straight from the combs to you! Shortly after completing six years of active-duty service with the Navy, Mark moved to Chicago where he began assisting his father-in-law, Raul Vergara, with his beekeeping. The occasional assistance turned into a regular hobby about 2006, which led Mark to pursue further education on the subject. After becoming an active member of the Cook-DuPage Beekeepers Association, and completing an eight week Introduction to Beekeeping course, Mark gained a greater understanding of the benefits of honey bees and their vital contributions to agricultural production. Raul, a native of Chile, has extensive agricultural experience after owning a farm in Chile’s fertile central valley, up until he and his family relocated to the States in 1986. Raul always had an interest in beekeeping dating back to when he was in Chile watching his father-in-law harvest honey from his hives. It wasn’t until about 2004 in the suburbs of Chicago that he began learning the art of beekeeping from a mentor and friend. At the suggestion of his mentor, Raul enrolled in an eight week Introduction to beekeeping course, which reinforced what he had previously learned. Becoming an active member of the Cook-DuPage Beekeepers Association opened the door to further involvement in the beekeeping community. 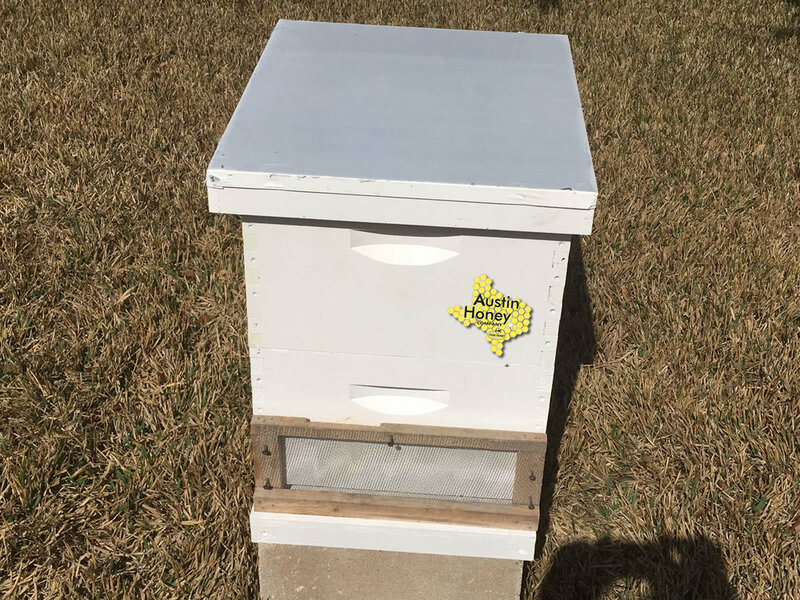 Now as residents of Austin, Texas Raul and Mark have become members of the Williamson County Area Beekeepers Association. They have partnered with Green Gate Farms to establish their new apiaries while providing pollination to the local organic agriculture production. 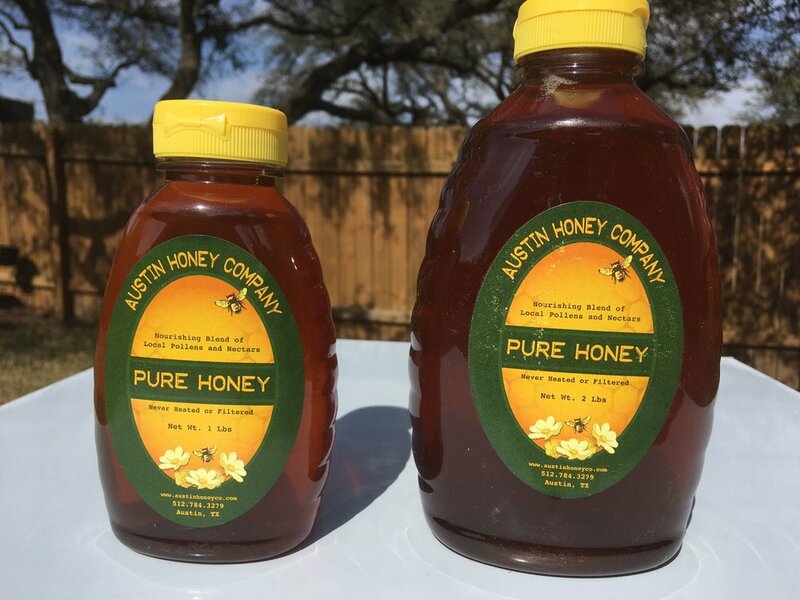 In early Spring 2012, Raul and Mark formed Austin Honey Company to not only provide pure honey from naturally managed bee hives, but to also share their passion for beekeeping with the community. 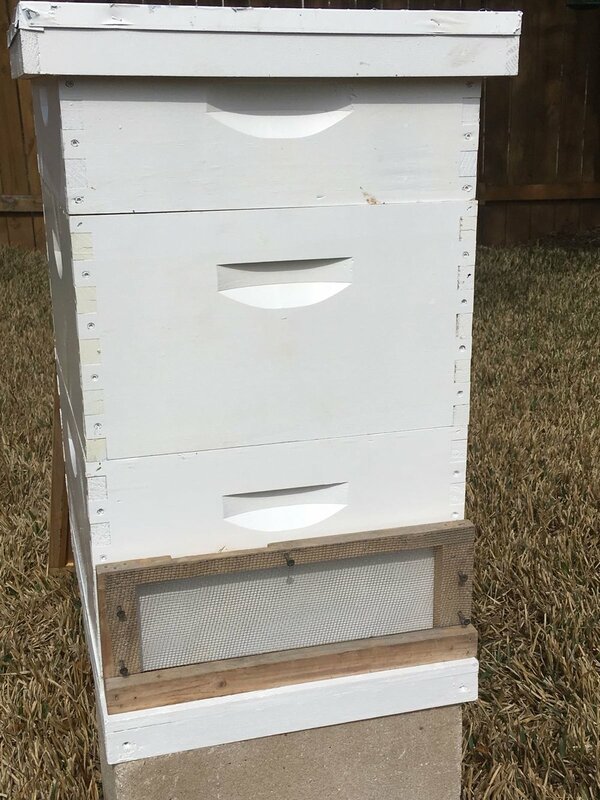 Their apiaries have expanded to six other local organic farms in the Austin area to include Bernhardt Farm, Springdale Farm, Tecolote Farm, Milberg Farm, Fruitful Hill Farm, and Sunrise Farm.